ZAKA chairman Yehuda Meshi Zahav describes sparingly and with restraint the things he and thousands of his volunteers at ZAKA do. ZAKA is a haredi (ultra-Orthodox Jewish) organization that rescues, identifies, and traces Jewish disaster victims in Israel and all over the world under sometimes virtually impossible conditions. Such a mission requires love of one’s fellow man, great empathy, faith, and a belief that good will come of it. It requires Zahav, a man with impeccable curly white payess (sidecurls). Two months ago, following a four-year struggle, ZAKA won recognition as an official UN consultant and observer. The eventual decision was taken unanimously by a special UN committee composed of representatives of 19 countries, including Iran, Sudan, Venezuela, Cuba, Turkey, China, Russia, Pakistan, Uruguay, Burundi, Greece, the US, and Israel. “Globes”: Did Iran and Pakistan also vote in favor? Once upon a time, Zahav was the operations officer of the Eda Haredit extremist haredi group. He led demonstrations against Sabbath desecration, burnt Israeli flags, fasted and wore mourning clothes on Israel Independence Day, illegally removed dead bodies from the Abu Kabir Forensic Institute to prevent autopsies from being performed and put mice into the pathologists’ rooms, and sneaked onto archeological sites in order to prevent archeological excavations. Since then, however, Zahav has been honored by being asked to light a torch on Mt. Herzl while calling aloud in a clear voice, “For the glory of the state of Israel.” His grandfather, Rabbi Yosef Sheinberger, the mythological leader of the Eda Haredit and a fanatical opponent of the founding of Israel, refused to speak with Zahav for the last four years of his life. For Sheinberger, what Zahav did was a desecration of God’s name. The change in Zahav began on July 6, 1989, when a terrorist blew up a bus on the 405 route from Tel Aviv to Jerusalem. It happened on a road in front of the Telz-Stone yeshiva (Jewish religious seminary) in Neva Ilan. Zahav and his friends wanted to see what was happening, “and then, when the dismembered bodies were laid out before my eyes, when the sirens were echoing among the smoky fragments of the bus, when the bloodstained clothes were scattered over the area, when entire families were broken and erased in an instant, I realized that the quarrels between us were meaningless. The type of skullcap you wear and the kind of clothes you wear pale in comparison with the real war we’re faced with. The Arab enemy doesn’t distinguish between the blood of a haredi, a secular person, and someone who’s modern Orthodox. We’re all connected. There’s no right or left. Everyone’s pain is the same. That was the moment when I crossed the lines and abandoned the ideology of haredi Judaism,” he later said, just before lighting the torch in honor of the ZAKA volunteers in 2003. To read the full article click globes. An erev Pesach entertainment event in Jerusalem’s Arena Stadium that was to include Mordechai Ben-David has been canceled. According to a Kikar Shabbos News report, the cancellation follows the intervention of the “Vaad Mishmeres Kodesh & Chinuch”. The entertainment event “Kumzing – By the Minagnim Orchestra” – was for men only, sponsored in part by the Jerusalem Municipality and was scheduled for Monday evening, 10 Nissan. The chairman of the vaad, Rabbi Mordechai Blau, announced on Sunday, 24 Adar-II that the committee opposes the event which if held, will be going on against the wishes of gedolei yisrael shlita. Kikar reports as a result of the vaad’s announcement, the event is being canceled. Rabbi Blau says that the Vaad takes issue with these shows since “gedolei yisrael oppose them”. No names of any Gedolei Yisroel were named. Unless there is something disgusting about this concern that I’m not aware of, the biggest enemy we face in our midst are not so much the Rabbonim Muvhakim, but rather the Askant, the Askonim (machars/political apparatchiks), who want to control lives whether it’s in keeping with Torah or indeed their Rav HaMuvhak. About six weeks ago, I spoke with Rav Chaim Sonnenfeld, and at one point, I asked him if it is right that he signs himself as the Rav of the Ashkenazim in our Holy City… He answered me that the truth is, he does not sign so, but they made for him a stamp and wrote this on it. I love this picture (edited by me to look clearer, I don’t know where I got it from), because it represents the truth. Not the world of falsehood that has enveloped our enclaves and askonim. Rav Kook (in the spodik) sitting next to Rav Sonnenfeld. The two behaved properly to each other, even though Rav Sonnenfeld was older and more prone to manipulation by the Hungarian political incursion into Yerusholyaim described by Rav Tzvi Pesach Frank. How many Jews in Melbourne hold these perverted views? Does the Adass breakaway, “Divrei Emineh”? Do Satmar and the Neturei Karta in Adass? The Gemara in Ketubot (111a) derives from the triple mention of the pasuk, “I have bound you in oath, O daughters of Jerusalem” (Shir Hashirim), that Hashem bound Am Yisrael and the nations of the world with three oaths. The first oath is, “shelo yaalu bachoma,” that the Jews should not forcibly, “break through the wall,” and enter Eretz Yisrael. The second is that the Jews should not rebel against the nations. The third is that the nations of the world should not oppress Yisrael too much over the course of the exile. According to R. Zera, there are three additional oaths which relate to the ultimate redemption. The Gemara concludes with the threat that if Israel violates these oaths, their flesh will be made free like wild animals in the field, i.e., Hashem would bring upon them great suffering and physical destruction. 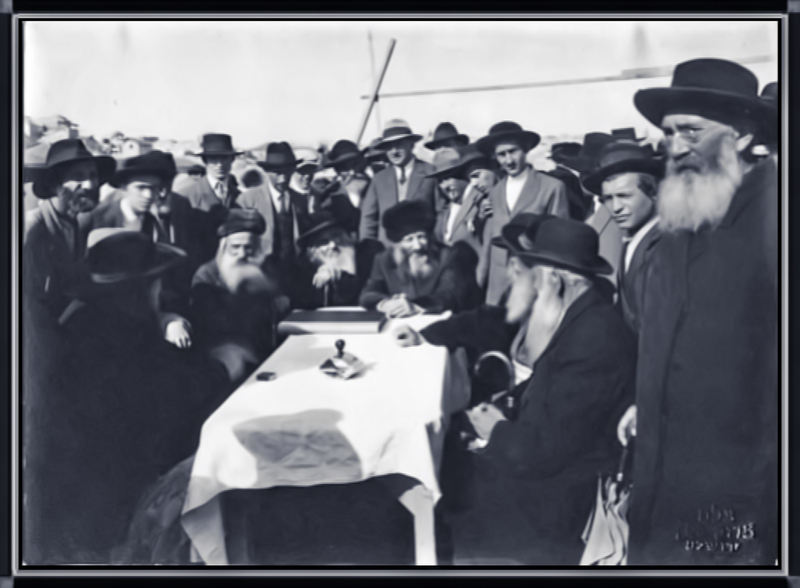 1) Rav Teitelbaum’s claim rests on the fact that there was a “choma,” that the nations of the world prohibited the Jews from settling in the land of Israel. The Avnei Nezer writes that this oath does not apply when the nations give Yisrael permission to return. Following the Balfour Declaration and the San Remo Conference, in which the nations of the world determined that the Jewish people have a right to settle the land of Israel, the oaths do not apply. The Midrash hints to this idea, that if Bnei Yisrael have permission to enter the land they do not violate the oaths. 2) Another answer is that once there is a sign from Hashem to return to the land, the oaths no longer apply. In addition to the permission given by the nations, the national reawakening and birth of modern Zionism can be viewed as a sign from Hashem that it is permissible to return to the land. The oaths were not an “issur” (absolute prohibition), but rather national tendencies that Hashem instilled within Klal Yisrael which would cause them to remain unmotivated to return to their land. Also, throughout most of the exile, it was very difficult physically for Jews to return to Eretz Yisrael. Once a wide scale movement with an objective to return to Eretz Yisrael began, and it was physically possible to begin Aliya to Eretz Yisrael, it became clear that the oath was no longer in effect. 3) The Gemara in Sanhedrin (98a) says that when Eretz Yisrael gives forth fruit abundantly, it is a sure sign that the redemption is coming. Eretz Yisrael, in the time of the Zionist movement, began blooming and giving forth fruits unlike any previous time since the destruction of the land. This sign of redemption showed that the oath was no longer in effect. 3) Rav Teichtal, in his work, “Em Habanim Smeicha,” offers another explanation. Although the Jews were sworn not to enter Eretz Yisrael forcefully, the nations of the world were also sworn not to persecute the Jews too much. Over the course of the exile, the Jews were severely persecuted by the gentiles. Because the gentiles violated their oath, the Jews were no longer bound by their oath. 4) According to some opinions, the only way to violate the oath would be if people came to Eretz Yisrael in very large groups. Since the Jews entered the land slowly, and over the course of many years, they did not violate the oath. 5) The author of the “Hafla’ah” maintains that the oaths only apply to those who are in the exile of Bavel, and not in other lands. 6) R’ Chaim Vital explains that the oath only applied for 1000 years, not longer. 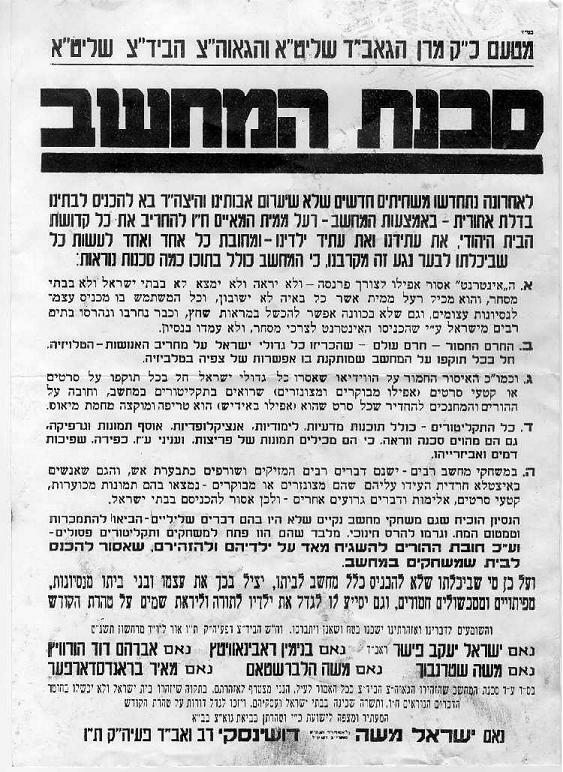 7) The Gra writes that the oath applies only to building the Beit Hamikdash, not to entering Eretz Yisrael. Based on all of these explanations, there is ample basis to say that the movement to return to Eretz Yisrael was a positive, not a negative, one. In fact, others maintain just the opposite, that the Holocaust was because Jews became entrenched in galut and did not return to Eretz Yisrael. Since we are not living in a generation of prophecy, it is very difficult for us to determine exactly why Hashem brings specific punishments to the world. However, the Gemara does teach us that when we are afflicted with punishment, we should look into our actions, and try to fix our bad deeds. By looking at the Akeida, we may gain some insight regarding the Holocaust. One of the most famous tests of Avraham was Akeidat Yitzchak. We constantly mention the Akeida in our prayers, and we still reap the benefits of this test. The question is asked, what is so special about this test? Avraham did not even do any great action of sacrifice, because in the end he did not slaughter his son. There were many other tests which Avraham actually fulfilled which are not so commonly mentioned! Perhaps this insight can explain why we ask Hashem to remember the Akeida, as opposed to other tests of Avraham. Many times Am Yisrael does not live up to the other tests which Avraham was tested with. Through our entire history, however, Am Yisrael lived up to the test of the Akeida, and on many occasions Jews were willing to die “al kiddush Hashem” (in sanctification of G-d’s name). Although we are not prophets, and we cannot determine which punishments correspond to which sins, we must try to learn lessons from events which happen in this world. Today it is clear that our bond to Eretz Yisrael still needs strengthening. If we pray and strengthen our connection to Eretz Yisrael, there will be an end to all of the Akeidot. For those who want to seriously understand why Satmar and these clowns are dead wrong, read this from the Seforim Blog. I note they don’t mention Gog and Magog, and the Jewish Redemption where their friends will be beholden to the Beis Hamikdash and Elokus. Politically, they don’t mention that, because they are of course afraid. These are the Jews about which the Torah says “stay home, you are afraid to go to war and you are an impedance”. Help your wives with the washing, cooking and food provision. I notice Issy Weiss of Neturei Karta wears the palestinian scarf. Why doesn’t he put a Kaffiyeh on and add tzitzis to the corners. Now there’s solidarity. Author pitputimPosted on March 21, 2016 March 21, 2016 Categories Anti Semitisim, Divrei Emineh, Holocaust, Israel's right to exist, Lifnei Iver/Mesayea Lidvar Aveyra, Medinat Yisrael, Neturei Karta, Rav Teichtal, Satmer, Toldos Aharon, Zionism, לא תחנםTags Neturei Karta, R' Yoel Teitlebaum, Satmar2 Comments on How many Jews in Melbourne hold these perverted views? If that alone doesn’t tell the deluded something, they should be sent to Krakatoa. Now, someone, please tell me what Hezbollah has said about this. They have overtaken the “Paris of the Middle East” formerly known as Lebanon. The lefties in Tel Aviv rightly supported the French, but I hope they are consistent with their tree-hugging, and have demonstrations saying that France is forbidden to carry out any operation which might endanger Civilians. Wait, I’ve got a good idea. The French can drop leaflets on Rakkah, warning all civilians to leave, and then carpet bomb the place. But what if civilians stay and become human shields, or D’aesh decide to wear civilian clothes. What do they propose we do, sit down bare footed in Tel Aviv and sing John Lennon songs? That will save the day. I think they call it “Social Justice” or “Tikun Olam”. Maybe the Toldos Aharon lunatics can meet with D’aesh and convince them to hold fire on innocent goyim. As for Rabbi Dov Lior and his knowledge of “why” this happened (because of French complicity in the Holocaust), he isn’t even on the level of Bilaam, let alone Bilaam’s Donkey. Bilaam was a prophet! Rabbi Lior is not. The donkey saw what Bilaam couldn’t. Which Seif in Shulchan Aruch is Rabbi Lior quoting. What a stupid thing to say. Here is a fascinating story of the grandson of the Satmar Rebbe who joined the Israeli army. Yes, it’s true, that there is no family that is immune from a child taking a different direction. This is a fact of life. I don’t like the word blame in the context. I prefer to think that the concept where ‘one size fits all’ and clueless teachers and/or parents cause much of this reality. חנוך על פי דרכו teach according to their acuities, is something harder to achieve in a “my way or the highway” approach. In June 2008, exactly three years after I got married, I decided to get a divorce. I didn’t fall out of love with my wife. In fact, I never fell in love with her in the first place. I simply no longer wanted to have the life I had with her and everyone surrounding her. 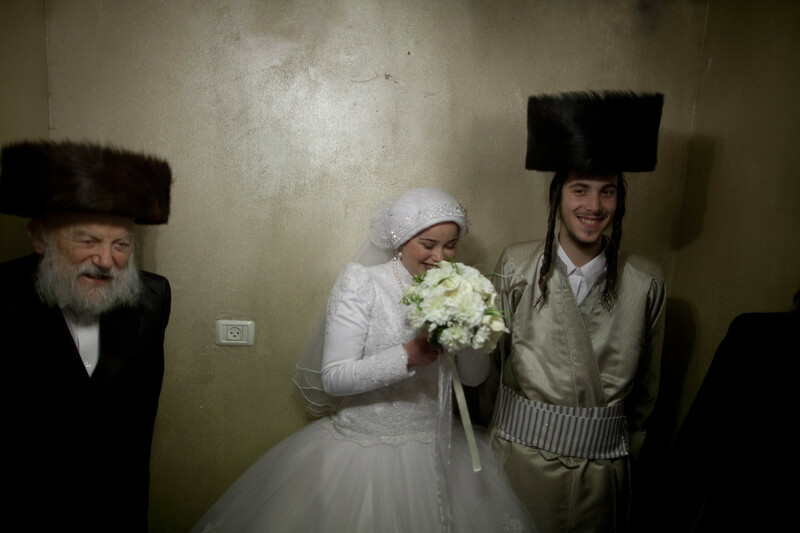 My wife was a Hasidic Jew, and when I married her, so was I. But that was no longer the case. I was a 22-year-old man with a long beard and side curls (payes) and all the other markings of a Hasid, but I was an atheist. An atheist surrounded by Orthodox Hasidic Jews. Surrounded by their certainty, their food, their self-righteousness and their minivans. I hated all of it, so I left and entered a world full of uncertainty and a broad spectrum of ideas about right and wrong. After leaving the Hasidic world, I spent seven years in various stages of decay. I slept in a tent in Bushwick for several months, lived in a rented Volkswagen Jetta for as long as my credit card limit allowed and crashed with friends. I starved in the harsh street of New York City. When I used my last subway fare to make my way to my sister’s (one of eleven siblings) house for leftovers from Shabbat meals, she wouldn’t let me in the house because I was wearing jeans. When I went on dates, I had nothing in common with the women. I knew nothing about their culture, and they knew nothing about mine. I thought all shiksas were prostitutes, and they thought all Hasidim were landlords and diamond dealers. Let me answer some revealing questions about Hasidic Judaism. Does it withhold a broad education from their children in order to keep the children narrow-minded and uneducated? Yes. Does it vilify the outside world in order to keep its members from joining it? Definitely. Does it have a fear and/or doomsday element to it? Of course. Is there ex-communication for those who dare to leave? Oh yeah. I still have not received anything past a 5th grade education. In fact, since I never attended a regular school, I don’t actually know what a 5th grade education is — I just picked a grade that seemed right. I don’t know what algebra is; I know I can Google it but I wasn’t made to care enough to do so. For most of my life, I believed that all non-Jews hate us and want to kill us. I believed that all goyim are murderers, rapists, degenerates and dirty second-class citizens. Of course, they/we aren’t but I was taught that in order to make the secular lifestyle less appealing. I was told horrible things would happen to me in this world and the “next world” if I leave. I was told I would end up a criminal or drug addict. Many members of my family refuse to speak to me to this day. I have had to transition both out of Hasidism and transition into mainstream culture. I have had to find a replacement for the void left by the lack of community and warmth. I had to replace my family, my friends and my moral compass. It was hard leaving everything behind but it was even harder to find something to replace it all with. Thankfully, as an actor, my professional community is very friendly and inclusive (albeit competitive). I’ve replaced my biological family with actors and Footsteps members. I have managed to date, to have my heart broken, to have broken some hearts and to grow because of all of it. I get asked all the time: “Are you happy now?” The answer is an unequivocal, “Yes!” I have friends who love me for who I am, for who I was and for who I am trying to become. Career-wise, it seems I have sought the path of most resistance, deciding to work in a field full of multi-talented human specimens with high cheekbones and jaguar physiques. I’m five foot seven inches, unathletic and have a heavy Yiddish accent. And yet, I’ve been getting work. My latest film, “Felix and Meira,” just beat David Cronenberg at the Toronto International Film Festival for “Best Canadian Feature Film,” and I won “Best Actor” at the Torino Film Festival. Next, I will appear in a recurring role in the upcoming season of “Transparent” on Amazon Prime. But those achievements pale in comparison to the responses I get from people within the Hasidic community who have snuck out to go see the film. They have been yearning to break away but have been told that if they do, they will end up in jail or in rehab, and they believed it. But now, they can counter that with success stories like mine and those of others like me. The Hasidic community isn’t what it used to be even five years ago. With the Internet, every person has access to every flavor of every forbidden fruit his or her heart desires, including my story. It won’t be long before the Empire falls. It might not fall completely, but it certainly will be forced to adapt to the 21st century. The Empire won’t go down easy. The Empire will strike back. For evidence, watch the comments section below. In my opinion unless subtle changes are introduced into Charedi education this will become more prevalent. It is nigh on impossible to live in a Cocoon these days. I know of schools that redact every book with pen or gluing pages together. The effect is that the students are more certain to find the original text and be exposed. I’m not sure that approach works. Kids are far more connected than they ever were. Indeed, there has been a new (undesirable) ban now on whatsapp [Hat tip BA]. I surmise this is because the kosher filters cannot filter such messages. whatsapp is wonderful, it keeps families closer and informed, especially when they are spread around the world. Anything can be used for bad or for good. That is the central tenet in my understanding. How different is their indoctrination? Author pitputimPosted on May 14, 2015 Categories Ahavas Yisrael, Anti Semitisim, Derech Eretz, Dina D'Malchusa, Israel's right to exist, Neturei Karta, Satmer, Skverer, Toldos Aharon, ZionismTags anti Semitic hungarian worms2 Comments on How different is their indoctrination? When does a Woman not exist? its old news that Adass chassidic will not write even the first initial of a lady. My wife would be known as ‘mrs I Balbin’ this is certainly a hall mark of Hungarian chassidic practice as well as some Russian/Polish chassidic. contrast this to the wedding invitation that R Chaim Brisker used for his son Mishe’s wedding (Moshe Soloveitchik was the father of the Rav. He had signed it as ‘Chaim and Lifshe Soloveitchij’. No appellations and her name was ‘out in the wild’, heaven forfend. Author pitputimPosted on May 14, 2015 Categories Agudas Yisrael, Brisker, Chabad, Chassidim, Chassidus, Chassuneh, Litvaks, Minhag, Modern Orthodox, Neturei Karta, Nostalgia, Politics, Satmer, Skverer, Toldos Aharon15 Comments on When does a Woman not exist? I remember in the old days when I played in the band for Adass weddings, before Yumi’s band took over 99.9% of those gigs. Rav Beck was a lot younger and many times I was asked to see if my microphone could reach the head table. Rav Beck is a holy man, he barely looked up, and when I handed him the microphone it was as if it was a foreign object not to be used. He had no technique and didn’t realise that one had to speak directly into the microphone. Nevertheless, I noticed that even on a microphone stand, he was hesitant to get close to it. Some explained to me that it was a Tumeneh Keyleh. I didn’t understand, although these days I notice he at least holds it. Why do I mention this? I do so because for particularly Hungarian types where anything new is forbidden חדש אסור מן התורה so much of the modern world is not rehabilitative. Many examples about: a modern phone, is more likely to be used for sin; phones themselves were originally forbidden as they ’caused’ Lashon Hora. Eventually, things normalise, and solutions are found. For me, just about everything I do, except if I’m in front of a Sefer, is something I can potentially turn into bad. It’s my view that there is a single world, an imperfect world, and our job is to turn חול into קדש and not run away from everything that may divert. Can a person in Summer in Melbourne, Ripponlea, or Miami, or … not find themselves seeing women dressed for the weather, and not wearing thick black seamed Satmar socks? It’s unavoidable to the normal person, let alone those who work in the work force. It is for this reason that the ערוך השלחן stated that saying שמע in front of a woman who wasn’t wearing a head covering wasn’t an issue because we are used to this now as a norm. I mention all this because my iPhone, as much as I love gadgets and technology, is so full of Torah, and a source of Torah, it’s literally mind-boggling. I hear and sometimes see Shiurim from people I never would have been exposed to. In my world, this IS Hashem’s plan. Like all of them, I could use the internet for the wrong things, and that is a real problem especially in closed societies (Rabbi Professor Twersky has spoken of this many times). For me, I sometimes feel it’s inappropriate to have my phone in the toilet in my pocket as it is so full of Kedusha! With this in mind, here is yet another example of a wonderful website that can be used by those who appreciate it. Check it out here and enjoy (if your Rov lets you). Remember, I am not Lehalacha or LeMaaseh. I just dilly dally at the edges of what interests me. By the way, those of you with iPhones check out this app. It’s an absolute beauty and is constantly being updated. I believe there is a google play version but it’s not as developed. I don’t know because I don’t use Android. Enjoy making Kedusha use out of Tomei Keilim. The number of people who snuck TVs into their houses by asking the TV shop to place the TV into a refrigerator box so the neighbours wouldn’t realise was and is a regular ruse in Israel. TV cards were also highest per head sales in Yerusholayim. Go figure. Ironically (is there such a word in Judaism) the first Lubavitcher to see opportunities to spread Torah through the internet was Rabbi Yosef Yitzchak Kazen ז’ל. I used to be in touch with him as one of the few other Jews on the net before it was called the internet so to speak. Little was I to know that one day he would be the (late) Uncle of my daughter. You don’t have to be Einstein to work out that throwing rocks, shouting shabbos, spitting, overturning Rubbish bins and every bit of meshugass the paleontological neanderthals attempt to “increase holiness” is a complete ביטול זמן and serves to sever them more from the rest. This may come as a surprise to the nidertrechtikte soinim of Rav Kook, but the common fallacy is that when he became Chief Rabbi of Yaffo-Tel Aviv, he introduced the Heter Mechira. This is of course one of a string of lies and distortions that Israel/ZIONIST hating so called Frummer Hungarians in Israel would have you gullibly swallow to this day. But their world isn’t a world of Torah even remotely approaching the supreme and holy Tzadik that Rav Kook was, so I am not surprised that they peddled and continue to peddle their outright lies and disrespect for a very holy Rov. I just returned from quite a surreal shiva visit. I decided to leave my comfort zone and venture deep into Meah Shearim where the family of Avraham Walles (hy”d) was sitting shiva. He is the man murdered in the terror attack the other day when an Arab overturned a bus, in Yerushalayim. I have been in Meah Shearim hundreds of times, but pretty much on Rechov Meah Shearim, the main road. I had never ventured down any side streets–before today. Today was different, because today I needed, I wanted to share in the pain of the Walles family. After receiving various sets of instructions from passersby as to how to locate the home, I finally found myself on Rechov Hevra Sha”s 40. A two story walk-up that belied the stereotype I had in my head of what apartments there “must” look like. If I had been wearing a neon green shirt I could not have stuck out any more. I, in my kippa seruga (knitted kippa), non-white shirt and completely surrounded by black and white. The family is Toldos Aharon Chassidim (black and white striped frocks). While I had no true reason to feel uncomfortable, to be honest, I did feel a sense of unease. The father then looked at me and, through his gaze, he “asked” me to speak. I told him that I came from Maale Adumim and as soon as I heard the terrible news about his son, I felt I wanted to come and be menachem avel (offering condolences). I said that it makes no difference about what one wears on the outside because INSIDE we are ALL part of the same Jewish family. He began to cry and say that indeed, we are all one family and Hashem’s children. By stepping out of my comfort zone, I saw such a valuable lesson put into practice: Ahavat Yisrael truly breaks down barriers.